Most women who are interested in beauty are always privy to the latest miracle potion and tonic, and more often than not this new magical product is geared towards women. Well, this post is to inform you that there are a few stellar products from the boys that are worth looking into! Click through the jump to see what you should steal from your boyfriend to try out for yourself! Although you might be thinking, this is an April fool's day post huh? I swear on my holy grail Bioderma that it's not! This is a legitimate post, but Happy April Fools Day to all you pranksters out there! 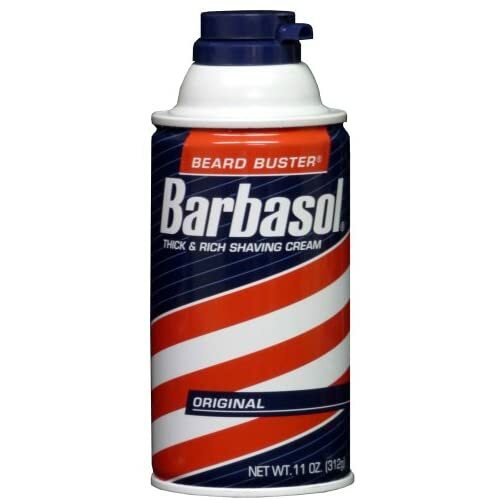 Barbasol Shaving Cream - I first saw this shaving cream at my parents' house because my brother uses it, but I first started using it when Emily from Into the Gloss said she uses it to shave her legs. She was totally right in that Barbasol is superior to shaving cream that's made for women. It's super creamy, foamy, thick, and the best part is that it's usually under $2. Since the first pump, I've never looked back. Jack Black Intense Therapy Lip Balm - It's probably no surprise that Jack Black's lip balm is on here as it has been raved about on many other blogs and by youtube gurus. Although it's a "men's lip balm" I don't think I've ever come across a guy who actually uses it. It's still a great product however because it's highly moisturizing, balmy, goes on clear, and comes in some great scents! L'Eau par Kenzo Cologne pour Homme - This cologne is my absolute favorite cologne for men. It's different from other men's colognes because it more fresh than woody. I would say it's similar to how CLEAN smells like, but it's more complex and sophisticated than CLEAN. It kind of smells like what a spa for men would probably smell like. As you can see, I'm actually having trouble describing the amazing scent. My point is though, it is fresh enough to be worn by us ladies without it screaming men's cologne. 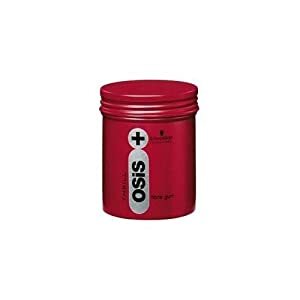 Osis Fibre Gum Wax - I was exposed to Osis's Fibre Wax because my ex was one of those guys who was really into hair products. I rocked the Victoria Beckham A-Line bob for a couple years, and I found myself borrowing whatever he was using at the time to give my hair a little texture. My favorite was Osis. It smells great, has a good flexible hold, a little goes a long way, and most importantly it doesn't make your hair stiff since it's fiber based - what more can you ask for in a hair product!? Convinced now that the guys have some great products to borrow? Just be sure to ask before you borrow or try it out! My brother did get a little annoyed that I was using his shaving cream, but it was totally worth it because I discovered a great product! Hope you found something that you'll love from this list as well!